In the early centuries of Christianity, there were over 200 Christian gospels in circulation, all of them containing wildly varied stories and theologies1. As the Church became organized there was much worry that no-one truly knew what Jesus had said or done, so they ratified just four Gospels: They picked the number four because "there were four winds, four points of the compass, four corners of the temple", mirroring the arguments of Irenaeus in the 2nd century - "just as the gospel of Christ has been spread by the four winds of heaven over the four corners of the earth, so there must be four and only four Gospels"2. The four canonical gospels comprise of synoptic gospels (Matthew, Mark and Luke) plus John. None are eye-witness accounts of Jesus' life and they are all written in Greek, not in the native tongues of anyone who met and followed Jesus. Many of the stories in the Gospels are copied from Greek god-man legends, especially those of Dionysus and Osiris. Although we now know them by the names of Matthew, Mark, Luke and John, they are all originally anonymous3. Mark is the earliest gospel, composed between 60 and 80CE, by a Roman convert who was unfamiliar with Jewish customs and who had not met Jesus. The oldest versions of Mark all ended at Mark 16:8 with the words "according to Mark", and an unknown author at some point added Mark 16:9-20. Matthew and Luke both used Mark as their source material (92% and 54% copied, respectively), except they corrected many of his blunders about Jewish life and added additional material from a second source document that historians call "Q"4. Matthew was written after 70CE and before 100CE. The first two chapters of Matthew were not present in the first versions and were added later by an unknown author. Luke was written after 93CE and uses Josephus's Jewish Antiquities. It claims to have been written by a travelling partner of Paul but the text contains too many mistakes with regards to Paul, and was written too late, for that to be true. Matthew and Luke copied such a large portion of their texts that it is clear neither were eye-witnesses, or friends-of-eyewitnesses, of Jesus. John was written last. Our earliest fragment of it dates from 125CE. It has Jesus speak using completely different language, sentence structure and style to the other gospels. It contradicts the others on almost every point of history. Most people assume that John was writing figuratively writer and not attempting to record history, but was instead set out to write interesting and meaningful stories about Jesus, who was by then, famous. John is considered the least trustworthy of all the gospels. 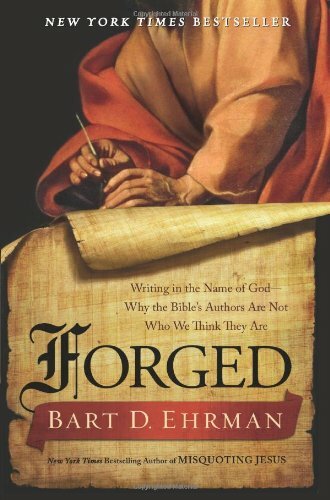 Ehrman kindly points out that the gospels were not forgeries - they were anonymous, and it was a case of false attribution8 by Christians later on that was the cause of the misdirection which lasted many hundreds of years. Mark was written between 60 and 80CE. Matthew copies 92% of Mark, and Luke (written after 93CE) copies 54% of it. So Matthew and Luke share much of the exact same wording because they both used the same text. But they also share precise wording in many portions that do not occur in Mark. So historians conclude that a second common source was used. They call it "Q" after the French word for "source". All of the gospels went through periods of alteration, editing and manipulation. Of the thousands of fragments we have from the very earliest times possible, no two copies of the same text are actually exactly the same. In some gospels, entire chapters were added by later editors. The search for the earliest material is tantamount to working out which portions of the text of the gospels are most trustworthy. But the search is a difficult one, and there are many assumptions and mistakes even by those much closer to the time - who were themselves trying to work out "what had happened". It is clear that even by 120CE there was no consistent record of Jesus' life. The theory was that the Gospels were based on eye-witness testimony of Jesus' life. “This anonymous gospel was the first to be written, around 80CE, by an unknown Roman convert to Christianity. The Gospel of Mark has undergone many changes and there are several ancient versions, none of which are exactly the same. The oldest versions of Mark all end at Mark 16:810, many with the words "according to Mark" - the document was someone's record of what someone called Mark had told them11. 16:9-20 was a later addition by another unknown author12. The author of Mark was not an eyewitnesses of Jesus, and wasn't friends with any of the disciples nor any other witnesses who could have easily corrected many of his mistakes. The evidence is that (1) the author uses a lot of existing stories (both Hebrew and Greek) and wrote them into the text with Jesus as the centre of the story, instead of the original characters. (2) He didn't speak Aramaic (Jesus' language) and wrote in Greek, not Hebrew, even having Jesus quote a Greek mistranslation of the Old Testament13. (3) Some details such as what Jesus said in his personal prayers is made-up. (4) He included multiple copies of the same story (but often with different details - evidence that he was using passed-on stories that had diverged over time). This often results in internal contradictions and inconsistencies. (5) The unfamiliarity with Jewish ways of life. There was no-one to correct his blunders such as misquoting the 10 commandments, attributing God's words to Moses, and having Jews buy things on the Sabbath. Mark chapter 1 (45 verses) - Jesus was baptised by John. He called Simon, Andrew, James and John to follow him. He preached and cast out demons. He healed a leper. Mark chapter 2 (28 verses) - Many gathered at the house. Jesus forgave a paralytic his sins and healed him. He was questioned about fasting and keeping the Sabbath. Mark chapter 4 (41 verses) - Jesus taught a parable about a sower and many others. He explained everything to the disciples. In the boat he calmed a great storm. Mark chapter 9 (50 verses) - Jesus took Peter, James and John and was transfigured. He healed an epileptic. The disciples argued about which of them was greatest. Mark chapter 10 (52 verses) - Jesus was questioned about divorce. He told a rich man to sell everything. He said, "The first must be last." He healed Bartimaeus. Mark chapter 11 (33 verses) - Jesus rode into Jerusalem on a donkey. He drove the money-changers from the temple. The elders asked, "Who gave you this authority?" Mark chapter 14 (72 verses) - Jesus took Passover with his disciples. He prayed in agony in Gethsemane. Judas betrayed him to the chief priests. Peter denied him. The Gospel of Matthew is a later copy of the Gospel of Mark14, using 92% of its text. It is anonymous3 and it wasn't until about 150CE that the author "Matthew" was assigned15. It was written after the fall of the Jewish temple in 70CE, in Syria, and almost definitely written before 100CE. It went through several versions, probably edited by different authors, until it reached its final form by the 3rd century. The first two chapters, the birth of Jesus and the genealogy, were not found in the early versions. Matthew chapter 1 (25 verses) - The record of Jesus Christ, son of David, son of Abraham. Mary bore a son by the Holy Spirit. An angel told Joseph to name him Jesus. Matthew chapter 2 (23 verses) - Wise men came from the east to worship the child. King Herod ordered that all the baby boys be killed. An angel warned Joseph to flee. Matthew chapter 3 (17 verses) - John the Baptist was preaching, "Repent, the kingdom is near!" Jesus was baptised by John. A voice from heaven said, "This is my Son." Matthew chapter 9 (38 verses) - Jesus healed a paralytic. Many sinners came to eat with him. He raised a girl to life and healed two blind men. The crowds marvelled. Matthew chapter 12 (50 verses) - The Pharisees opposed Jesus when he healed on the Sabbath. He said, "A tree is known by its fruit. The sign of Jonah will be given." Matthew chapter 14 (36 verses) - Herod had John the Baptist killed. Jesus fed 5,000 men with five loaves and two fish. Jesus came to the disciples walking on the sea. Matthew chapter 15 (39 verses) - Jesus challenged the Pharisees about tradition. He healed a Canaanite woman's daughter. He taught on the mountain and fed 4,000 men. Matthew chapter 19 (30 verses) - Jesus was asked about divorce. He said, "Do not separate what God has joined." He told a rich man, "Sell everything and follow me." Matthew chapter 21 (46 verses) - Jesus rode into Jerusalem on a donkey. He healed and taught in the temple. "A man sent his son to his tenants, but they killed him." Matthew chapter 24 (51 verses) - Jesus said, "In the end there will be tribulation. Let those in Judea flee. The Son of Man will come in glory. No one knows the day." Matthew chapter 26 (75 verses) - Jesus took Passover with his disciples. He prayed in agony in Gethsemane. Judas betrayed Jesus to the chief priests. Peter denied him. “The Gospel of Luke is the third book in the New Testament. 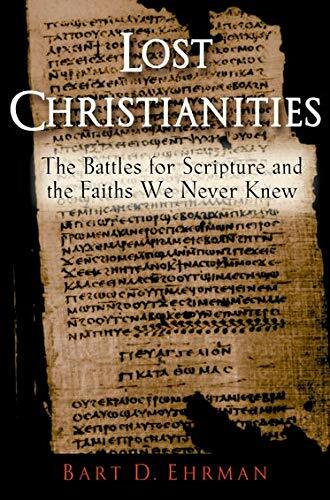 It copies over half of Mark14 and also uses Josephus's Jewish Antiquities as a reference and so must have been written after 93CE, probably after anyone who had known Paul (or Jesus) was already dead. The place of origin of Luke's writing is unknown. Luke existed in a single-book form in 140CE when it was used by Marcion, and this early version was anonymous. There are some major edits in later versions, especially involving the insertion of the virgin-birth in Luke 2:33 and Luke 2:4816. Later versions were "padded out" with extra inserted text, and had enough text added at the end that it had become known as the Acts of the Apostles and was included independently as the fifth book in the New Testament17. Luke chapter 2 (52 verses) - Mary gave birth in Bethlehem. Angels sent shepherds to see the child. Jesus was presented at the temple. He grew in wisdom and stature. Luke chapter 3 (38 verses) - John came from the wilderness preaching repentance. Jesus was baptised. He was son of David, son of Abraham, son of Adam, son of God. Luke chapter 5 (39 verses) - Simon, James and John left everything and followed Jesus. Jesus forgave and healed a paralytic. The Pharisees asked him about fasting. Luke chapter 10 (42 verses) - Jesus sent out the seventy-two. A lawyer asked, "Who is my neighbour?" Jesus said, "A man was robbed. He was helped by a Samaritan." Luke chapter 12 (59 verses) - Jesus said, "Even the hairs of your head are numbered. Sell your possessions. 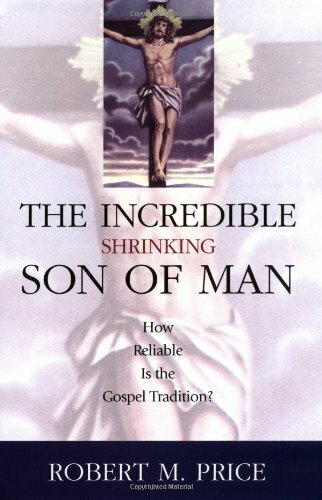 Be ready for the Son of Man. I came to bring division." Luke chapter 15 (32 verses) - Jesus said, "Heaven rejoices when a sinner repents. A son squandered his father's wealth. He returned and his father called a feast." Luke chapter 19 (48 verses) - Jesus ate with Zacchaeus. He told a parable about servants in the kingdom. He rode into Jerusalem on a colt and wept over the city. Luke chapter 21 (38 verses) - Jesus said, "The temple will be thrown down. Jerusalem will be trampled. The Son of Man will come in glory. Stay awake at all times." Luke chapter 22 (71 verses) - Jesus took Passover with the disciples. He prayed at the Mount of Olives. Judas betrayed him to the chief priests. Peter denied him. “The Gospel of John was written around 120CE18,19,20. The text is anonymous7 and definitely not written by the apostle called John21 nor by any eyewitness21, although the early Christian church promoted this as such22. We do know that the author was from Ephesus (in Asia Minor). The oldest surviving fragment of John is from 125CE. The earliest versions did not contain the final chapter, which describes Jesus Christ appearing to his disciples after rising from the dead. 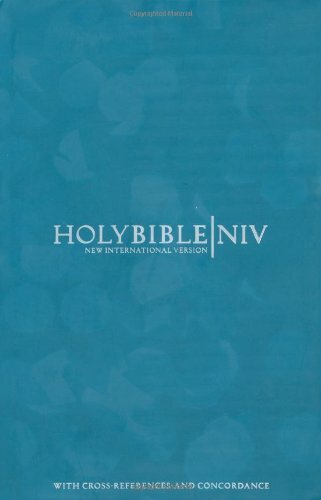 John chapter 1 (51 verses) - The Word of God became flesh and dwelt with us. John the Baptist bore witness to him. Andrew told Simon Peter and they followed Jesus. John chapter 4 (54 verses) - Jesus spoke with a Samaritan woman about her husbands. She said, "Can this be the Christ?" Many believed. He healed an official's son. John chapter 7 (53 verses) - Jesus went to the feast. The people said, "Is this the Christ?" The chief priests tried to arrest him. He called out, "Come and drink." John chapter 12 (50 verses) - Jesus rode into Jerusalem. The crowd shouted, "Hosanna!" He said, "The Son of Man must be lifted up. I have come to save the world." John chapter 14 (31 verses) - "I am the way, the truth, and the life. I am in the Father and the Father in me. He will give you the Holy Spirit. Do not be afraid." John chapter 15 (27 verses) - "I am the vine, you are the branches. You are my friends if you do what I command. If they persecuted me, they will persecute you." John chapter 19 (42 verses) - The soldiers took Jesus and crucified him. He said, "It is finished." He gave up his spirit. A soldier pierced his side with a spear. John chapter 20 (31 verses) - Mary went to the tomb and found it empty. Jesus met her. He came and stood among the disciples. Thomas said, "My Lord and my God!" John chapter 21 (25 verses) - Jesus appeared as the disciples were fishing. He said to Peter, "Do you love me? Feed my sheep." The beloved disciple has testified. (1995) The Dark Side of Christian History. Published by Morningstar & Lark, Windermere, FL, USA. A paperback book. (1993) Jesus. Originally published in UK in 1992. Current version published by Flamingo Press, Harper Collins, Fulham Palace Road, London, UK. A paperback book.